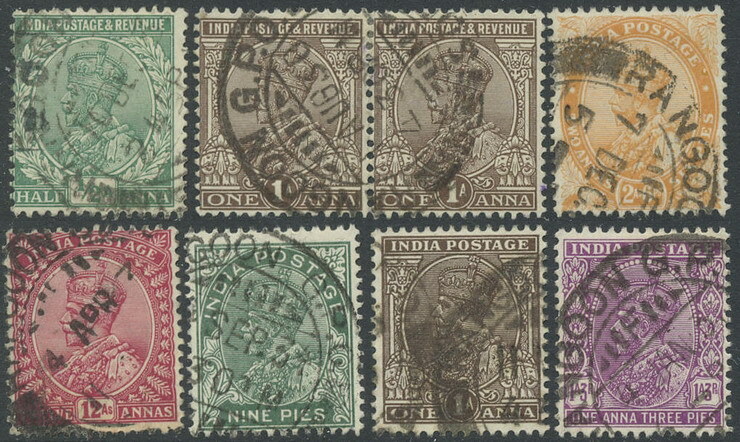 m 7 different Indian stamps cancelled "Rangoon". YY SG 12. 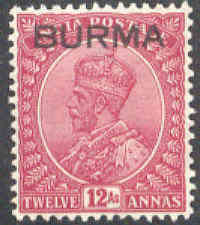 12 annas George V fra India med overtrykk "Burma". (* = £ 2.25). m SG 15. 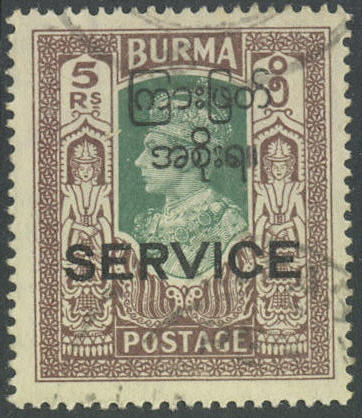 5 r Surcharge 1937. (£ 15). m SG 18/32. 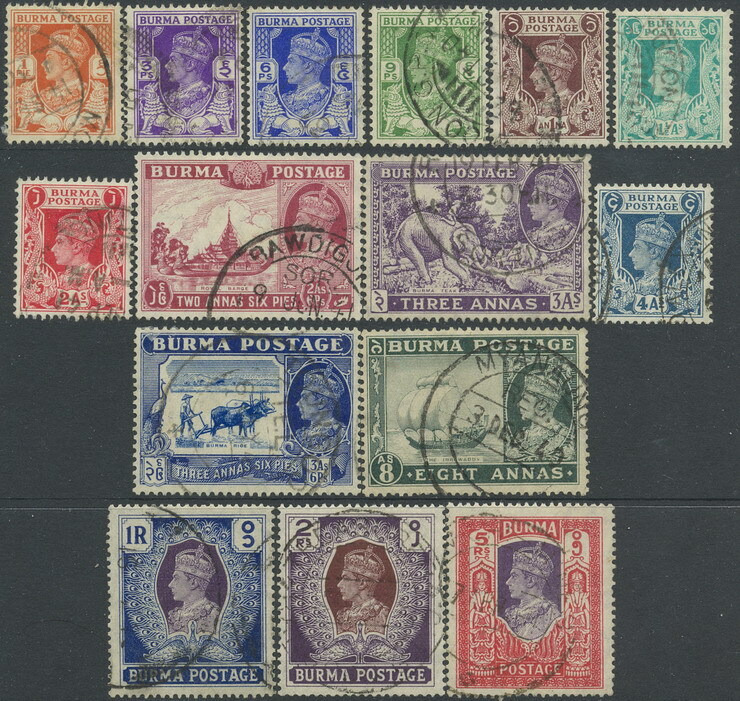 1 p to 5 r Definitives 1938. (£ 70). m SG 51/63. 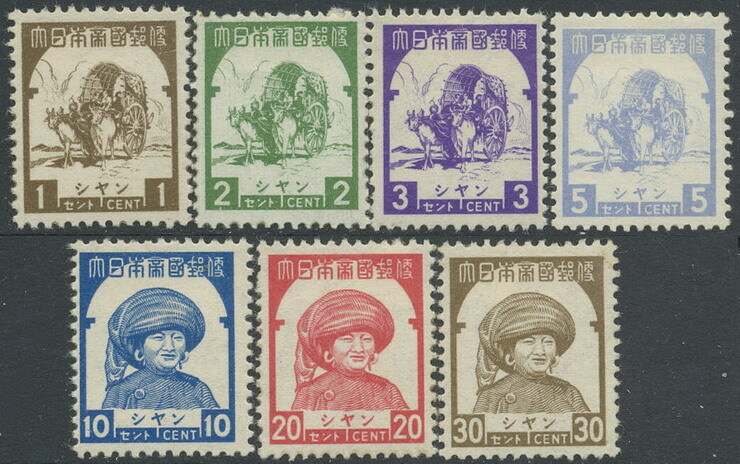 Definitives 1946 - complete set. (£ 95). m SG O 51. 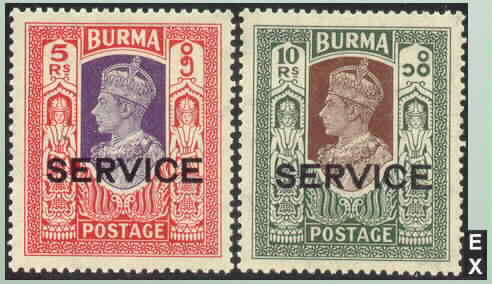 2 R Official 1947. (£ 20). m SG O 52. 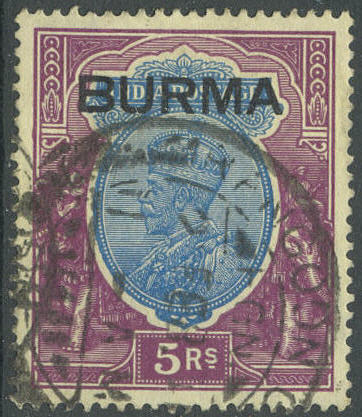 5 R Official 1947. (£ 20). Y SG J98/J104. 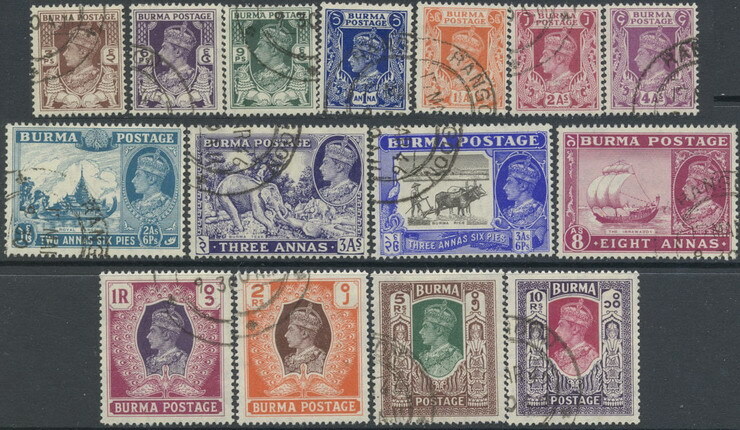 Issue for Shan States 1943 - complete set. (** = £ 140). Y SG O15/O27. 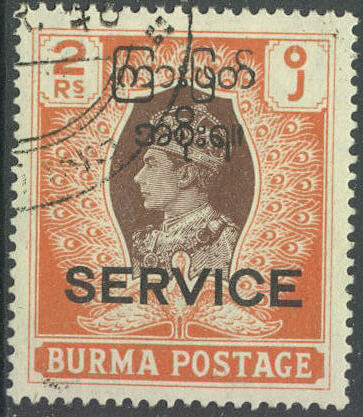 Tjenestmerker George VI 1939 - komplett letthengslet serie. (£ 275).